The Sewalls of Coventry spelt their name either as Sewall or Sewell and it is also found recorded as Shewall. Today, in the United States the name is spelt Sewall, whilst in Canada and England it is Sewell. The division in spelling came about because at the time of the late troubles in New England and elsewhere in the American colonies, the Loyalist Sewalls who withdrew to Canada made the decision to spell the name with an E probably to distinguish themselves from the revolting Sewalls. When searching this database please remember that only the descendants of Jonathan Sewell (1729-1796) are spelt Sewell. Two Henry Sewalls emigrated to America from Coventry and Warwickshire, they were cousins. Henry Sewall (1614-1700) a Puritan, who arrived in Massachusetts in 1634 and Colonel Henry Sewell (1624-1665) a Catholic, who arrived in Maryland in 1661. 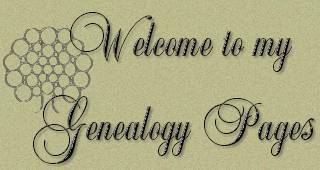 This genealogy was originally compiled from ancestry charts, letters and papers I either inherited or to which I was given access by other members of the family. I then sought other sources, both published and unpublished, and though latterly I came to record the bibliographic details I fear that there are far too many that I have plagiarised ruthlessly and to which I can give no acknowledgement for I simply no longer have their details. For this I must apologise, none of this work is my own. The very nature of a family tree means that it is just a gathering of windblown leaves, most of which I hope that I have put in some sort of order but even this has been done by cribbing from my cousins. Robert Sewell of Canada has the all embracing website on the family roots.